McKay Cottage in Bend is a casual neighborhood breakfast and lunch restaurant located in a preserved 1916 historic craftsman bungalow near the Deschutes River on O.B. Riley Rd. The historic home was originally located where Drake Park is now and has been refurbished to its original condition in consultation with the Deschutes County Historical Society. 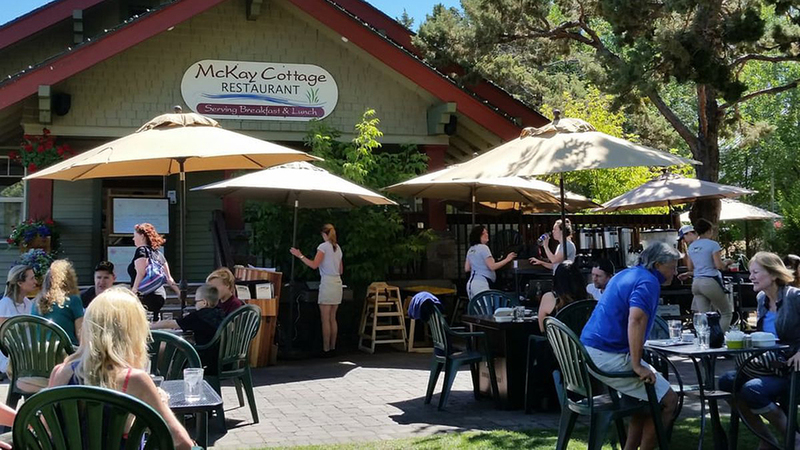 Every year since 2010, McKay Cottage has been voted Best Breakfast in Bend and they use the freshest ingredients and feature delicious specials every day to keep the title, with their creative comfort food. They offer breakfast, lunch and brunch and serve their full breakfast menu all day every day from 7:00 a.m. – 2:00 p.m. This Bend landmark also has a large seasonal outdoor eating area under shade trees. They offer fire pits and blankets to keep you warm on cooler days and a selection of items baked from scratch in-house daily, fresh muffins, homemade scones, cinnamon rolls and pecan sticky buns, along with their homemade desserts.